What is the Lesson Report? To get to the Lesson Reports click on the Analyse button at the on your Dashboard. 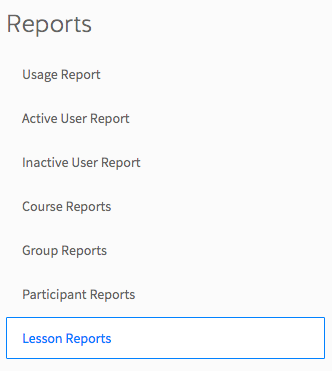 This report lists all of your Lessons in a table, and tells you which Course and Department each Lesson is part of. 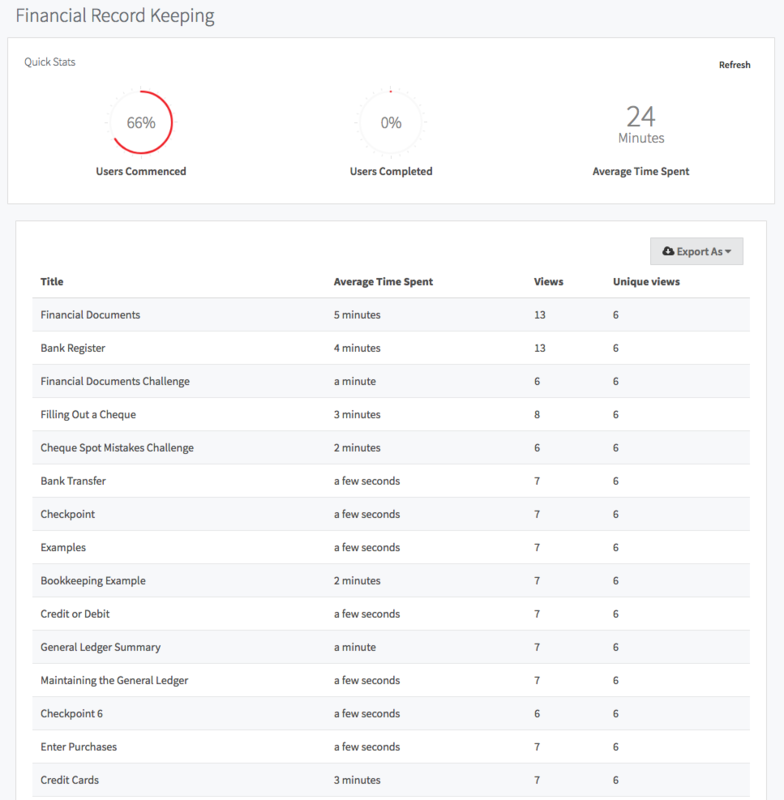 Click on an individual Lesson name to see an overview of that Lesson, as well as the average time spent on each tile within it. This is great for seeing what tiles users are getting stuck or spending too much time on. You can search for specific Lessons at the top of screen, or limit to certain Courses or Departments.